After having spent a couple of hundred hours restoring my canoe, I did not want to subject it to the damage likely in whitewater. 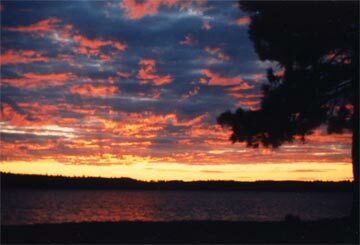 We chose the Obabika loop, in the Temagami area, because it offered primarily lake or flat water travel. 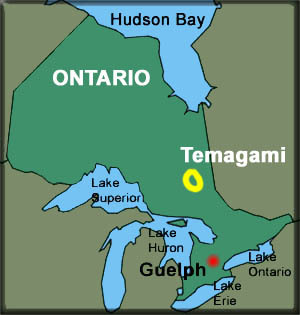 Our put-in was at Ferguson Bay on Lake Temagami. 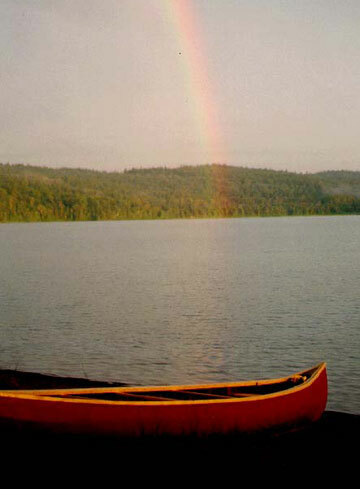 We camped there overnight on the beach and, quite possibly as an omen, were greeted by a rainbow the next morning. 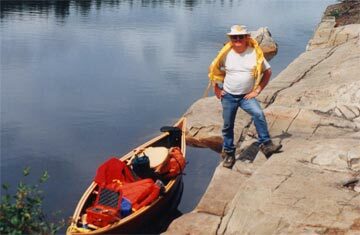 The portage between Temagami and Diamond Lakes was short. 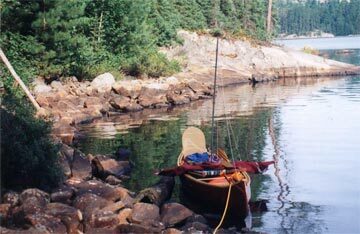 What a difference between the roughness of Temagami and the serenity of Diamond. Mornings on a trip can be harbingers of the day. 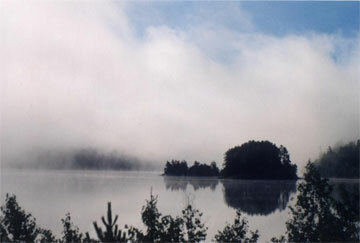 This misty scene greeted us on Diamond Lake. The rest of the day was beautiful! 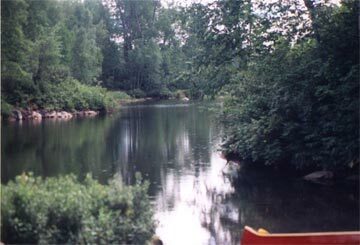 The Wakimika River, which carried us from Diamond to Obabika, was idyllic! This is how not to prepare for the next section of water! 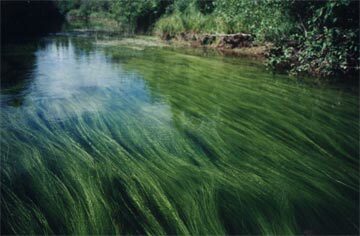 As we crossed Obabika, we heard voices which sounded familiar. It turned out to be a Scout Leader with whom we had worked several years ago. He was here with his family. We stopped for a chat. A short hike into the bush at the north east end of Lake Obabika got us into the old growth forest. 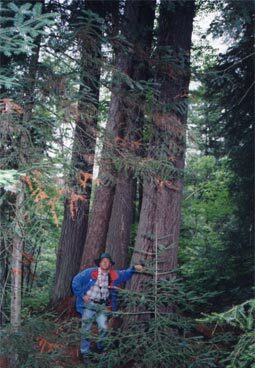 Incredibly tall trees! Hopefully they will continue to evade the loggers. 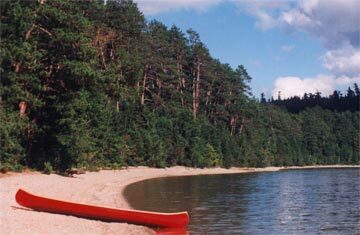 About half way down Obabika, we found a beach with a really well appointed campsite. We were further entertained by an incredible sunset. 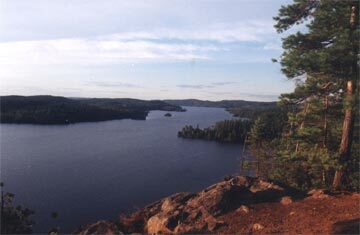 After sailing the lower end of Lake Temagami and heading across the main lake under sail (pretty dicey most of the time), we camped at the base of Devil Mountain. The climb up to the top was worth it. We could see for probably 40 or 50 kilometres. We paddled north into Ferguson Bay to complete the loop.